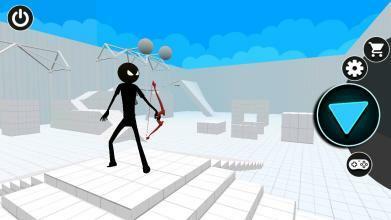 In Archery Stickman - Legendary, you will be hunter on a mission to shoot-down evil ninja stickman league with your bow & arrow skills, you will be emerged in shooting, fighting and settling the ongoing vendetta. 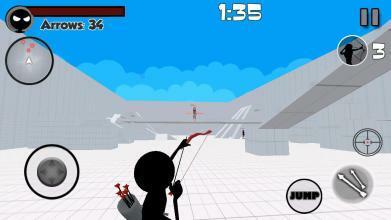 Nobody knows why you are the chosen, Just Become a master stickman archer. Dangerous times lies ahead! Will you have enough courage to face it? Let’s prove your marksmanship and prove them you are worth it: Archery Stickman - Legendary with excellent features: - Dynamic 3D FPS - Gameplay and controls optimized and ragdoll physics - 40+ unique and deceptive levels to test your aiming skills in this bow hunting action game. 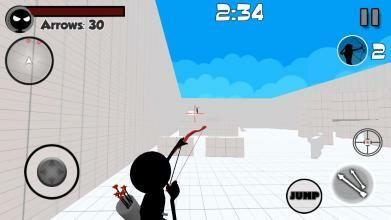 - Smooth controls and improved user experience to make the aiming effortless. 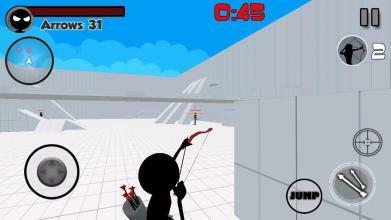 - Survival mode adapts to your skill level for better action experience - Shooting is based on fast reflexes - Simple interaction - Hooked, highly addictive, fast paced, action packed, arcade fighting endless gameplay with random missions - Lock your targets and hunt down sharp stickman archer enemies in best bow and arrow shooting game. And now more advanced with: - Weekly rewards for your ranking in Duel arcade mode - Daily leaderboard reset each day, weekly leaderboard reset each week - Strict anti-cheat algorithms to prevent unjust scores Become a legendary bow master and shoot enemy ninja stickman archers in thisarchery shooting game. Archery is the game of Kings! 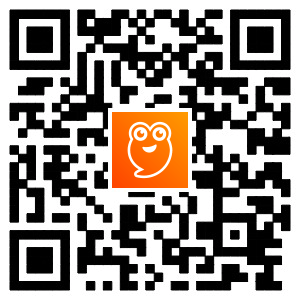 In case if you have anything wonder that needed to be addressed just send us an email through this address: We will take a look at it and reply to your email as soon as possible.